The Bugatti VOLO - 2 Slice Toaster combines superb design, build features and high-tech features. Bringing Italian style to your kitchen, the Bugatti toaster offers six browning controls and a motorised toast lifting system for simple removal of your toast. The toaster has wide slots which will allow the user to use varying thickness of bread, bagels and crumpets. The crumpet warming rack is also a fantastic feature. Other fantastic features include bagel toasting function, one touch easy defrosting, reheat function without browning and precise electronic browning control. The Bugatti VOLO comes in some fantastic vibrant colours and is a great addition to any kitchen. Makes a great cake even without decorating! Perfect for fairy cakes, mini cupcakes muffins. Mini cases made of greaseproof paper. 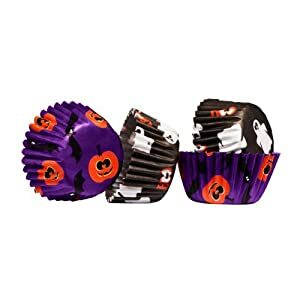 Pack Cuntains 100 Mini Cupcake Cases. This is attractive sleek product in modern design. 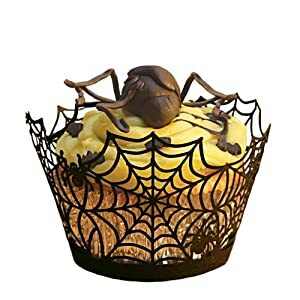 Wrap your spooky cupcakes in these laser cut spider web cupcake wrappers and you will be sure to leave your guests with a Halloween treat they'll never forget! 24 Edible Halloween Images. 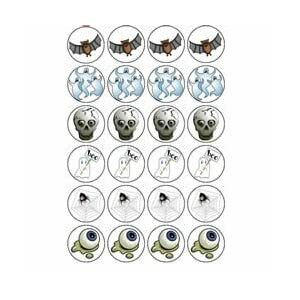 Diameter of each topper 3cm. 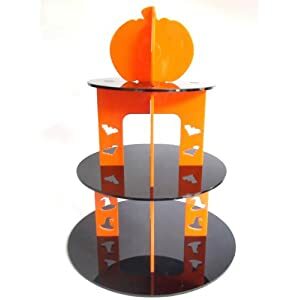 The Classikool Halloween Cupcake Stand is the latest addition to the incredible Classikool Cake Stand Range. The colours of the stand, orange and black work so well together with the added benefit of the cut out shapes of bats and witches on the pillars plus the incredible pumpkin at the top. These stands are simply a must for halloween. The Giant Cupcake Cake Tin is perfect for birthday's and celebrations! You can decorate with your favorite colours of icing's and sweet and be as imaginative as you like. Today, there are nearly 70 million Bundt pans in kitchens and bakeries around the world. Nordicware have a dedicated following which includes the domestic goddess Nigella Lawson. This fantastic cake tin creates giant cupcakes in two halves which once baked will stack on top of each other to create the giant cupcake. 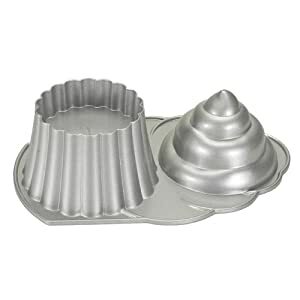 The cake tin is made non-stick material and the cupcake will slide out of the tin once baked. Pre-greasing of the tin with butter is also recommended. The detailing in the mould in very good which is not lost during the baking process. Cleaning is quick and painless however the tin is also dishwasher safe. 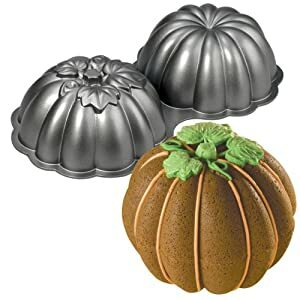 The Nordicware Giant Cupcake Non-stick Bakeware Tin is a fantastic cake tin and is more than worth paying the extra over other cheaper models on the market.